129 DPT is an AEC Reliance, 2MU3RA variety, with Plaxton C41F body. She was new to OK Motor Services in 1959 and is seen in the Alton Bus Rally on 18 July 2010. This event is organised as part of the Mid Hants Railway (Watercress Line) programme and, weather permitting – it has been known to be washed out! – is on the third Sunday in July. OK had a very interesting fleet of new, and what are now called ‘Pre owned’ vehicles. They had several routes, mainly in the Bishop Auckland area, and one into Newcastle, but none of them were numbered. The original livery of two shades of red plus cream, all outlined, black wings and gold lettering, must have taken an age to apply, but the result was stunning. Rather than a bog standard one-size fits all approach, the livery was modified from one vehicle type to another, as a result it looked good on most vehicles. It always suited the ex London RTL’s and the Southdown Queen Mary’s. After deregulation, OK set out on an expansion programme, they opened a depot in Peterlee, and the Newcastle depot, which up to then had been purely coach/contract and private hire, also took on some service routes. Presumably, to save time and money, as the fleet grew the livery was simplified and went through several changes. Eventually the company were bought out by the Go Ahead Group ‘Northern General as was’ and the name has gone into suspended animation. Thanks for your observations, Ronnie. At least, Go Ahead do allow their local managers some leeway in terms of activity and livery, not like certain other groups most of us would prefer not to mention! As most people know, the Panorama was developed at the behest of Sheffield United Tours. There were only six of the original style, based on the Venturer, and delivered to SUT. This is, strictly speaking, the first production model but what is strange is the side embellishment. The ribbed side and the wings were specifically SUT things which have ventured onto the standard model for everyone. David, I think that you meant to say that the original Panorama was based on the Consort, not the Venturer, which had already been discontinued two years before the first Panoramas for SUT. Incidentally, the Panorama body went through at least four distinct variations before the so-called (Ogle designed) "Panorama I" as modelled by OOC in 1/76 scale. There was the original Consort-based version, followed by the variant shown in this photograph (with the rather odd little radius in the side window line at the rear end) produced in 1959-60. Then came the 1961-62 model with improved frontal and side treatment but still with that dreadful rear window arrangement (the later 36ft versions of this variant also had a drooping waist-rail at the rear end which didn’t improve things), and then the 1963-64 variant which kept the good bits but eliminated the "droop" and the nasty rear window. Having come up with a truly classic design by a series of evolutionary improvements, Plaxton then decided to throw it away and start again with the Panorama I (and its lightweight chassis equivalent with less brightwork, the "Panorama II". They were very much an acquired taste.Have professional designers ever done a better job at anything than those who really understand the bus industry? I can’t think of a single example! I see that Oxford Diecast is planning to produce a 1/76 scale model of something it describes as a "Panorama I". The teaser drawing that they are using on their website suggests that it will in fact be of the 1963-64 version. Despite their mistake in naming the model I await it with bated breath. My fear is that they might spoil it by using the wrong colours in the liveries. I waited for years for a model of a Ribble all-Leyland Royal Tiger coach, but when Oxford finally came up with one the colours (particularly the red) were completely wrong. I am now waiting for a National Lottery win so that I can have somebody repaint one for me. If I win the Jackpot I’ll have somebody build a replica of the real thing, but I digress…. Correct, as ever, Neville. A senior moment and fixation on the verb to venture. They were, of course, based on the Consort. Sheffield United – so that’s where I’d seen this detailing before! Thanks for reminding me! In the past I have found to my cost that the owner of this particular vehicle objects to the idea that the Panorama was "based on" anything. Leaving aside questions of chickens and eggs, SUT’s original pre-production Panoramas had the same front and rear ends as the Consort II with a completely different body shell in between. Similarly this version has the same front and rear as the Consort IV with a different shell in between. It’s the difference in height between the Panorama’s waistrail and the bottom of the Consort IV rear window that necessitated the "kick-up" at the rear. (The SUT-derived side detailing was an optional extra.) However, the 1961-2 version really did share a body shell with its poor relation, the Embassy, which is why the kick-up was no longer necessary. The Ogle version which we think of as Panorama I was simply called Panorama for the first two years of its life, while the future Panorama II was styled as either Embassy IV, Val or Vam depending on chassis type. I never really liked the Panorama I except on the Bedford VAL chassis, where the extra bling under the first side window lined up perfectly with the twin steering axles. To me the most pleasing Plaxton body of that generation was the 32-foot Vam/Panorama II. No, Peter, the body is exactly the same – it is only the size and pitch of the windows in between that differs, along with the provision of forced air ventilation. I would tend to agree with you about the 32′ Vam/Panorama II. As the owner of 129 DPT may I add some thoughts to the thread? Peter Williamson and I certainly exchanged some views several years ago on whether the vehicle was properly a Panorama (or just a reworked Consort) and I pointed out that Plaxton obviously thought it was a Panorama because they invited it to their centenary celebration as the oldest surviving example. I’m unclear what Peter ‘found to his cost’. We just saw things differently and there is nothing wrong in that – anyway it was a long time ago now. So far as lineage goes it is true that the prototype was little more than a Consort with long windows but by the time production had started the design had evolved considerably. The Consorts of the late 50s/early 60s adopted many of the design features introduced on the early Panoramas including wraparound windscreens and dished grills so were they really Panoramas with short windows? To pick up on other comments, the original SUT six were really pre-production models, being built individually rather than on a production line. Correspondence I have from Plaxton at the time of their centenary makes this clear. The SUT side mouldings were offered as an option on all orders and even appeared on later Consort-bodied SBs. 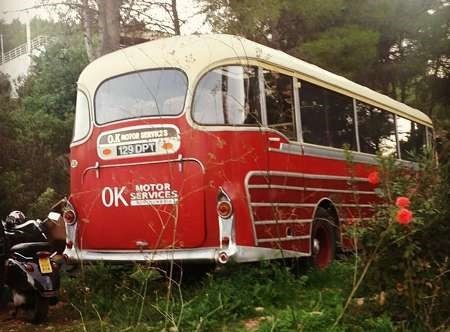 I’m keen to trace the present owner of OK Motors 129 DPT as my father saved it from being scrapped it was due to appear at Kettering Steam Rally but for some reason it never did, my father still has some paperwork regarding the coach thanks to anyone that can help. This vehicle has it’s own thread at http://www.sct61.org.uk/ok129dptb It might be worth a post there as well there is a message thread below the picture dating from 20 July 2015 through to 5 Aug 2015. Adrian, John and Steve. 129 DPT is still alive and well. After being off the road for a year or two (seized water pump which took a long time to find a replacement for and then a full clutch rebuild) we have been to a number of rallies this year and taken part in a few free bus services, coping well with full loads. The non-appearance at Kettering was unfortunate. We were all set to go (picnic prepared the night before and in the fridge etc) but unfortunately I was very ill overnight (possibly an allergic reaction to something) and I didn’t feel it safe to drive, particularly as I live in Berkshire so it is a bit of a journey. Steve, you refer to 128 DPT. Is this a typo? I don’t think 129 DPT can have been with Pilgrim Tours in the 70s. The PSV Circle OK fleet history records the vehicle as moving from Howes to OK ownership in 8/75 and being sold out of the OK fleet in 11/81. What I do have is a rear photo in OK livery but with sign writing for M&K Walker. Can anyone shed any light on this? I can find nothing about this name on the internet. 128 DPT was a similar Reliance/Plaxton new to Graham Brothers of Winlaton Mill (one of the ‘Primrose’ partners); 130 DPT was new to Bissett of Ryton (the other ‘Primrose’ partner at the time). 128-30 DPT had consecutive Plaxton body numbers, so it would appear that, certainly as far as the bodies were concerned, this was a joint order. John B mentions ‘Howes’ above, but, to those unfamiliar with OK’s history, their involvement will be unclear. Howe of Spennymoor and Emmerson of Bishop Auckland both used the fleetname ‘OK’, but in respect of Howe, it may have been only on the service buses, which were used on the Bishop Auckland to Newcastle route (joint with Emmerson) – Emmerson (very much the larger of the two concerns) used the ‘OK’ name for all purposes. Howe’s livery was noticeably different from that of Emmerson. In due course (probably 1975, as implied by John B), Emmerson acquired Howe and vehicles eventually received Emmerson livery, but the Spennymoor base was retained. 129 DPT was indeed new to Howe rather than Emmerson. Thanks David. I was born and bred in Middlesex and my knowledge of OK is based mainly on 2 publications – the PSV Circle History of OK Motor Services Ltd (2PA20, 1998) and A History of OK Motor Services by David Holding (Bus Enthusiast Publishing Co 2007 ISBN978-0-946265-39-8). If these notes are wrong it is my fault, please let me know. To expand slightly on David’s information in 1928 3 pre-existing operators (Emmerson, Evenwood; Howe, Spennymoor and Blenkisop, West Carnforth) set up a joint co-operative service Bishop Auckland – Newcastle under the OK title. Blenkisop soon dropped out. So initially OK Motor Services was a trading name of the 2 remaining partners. The name was soon adopted by Emmerson for all of his vehicles. I’m not sure about Howe although there are photos of OK-liveried coaches in the Howe fleet in the 1930s. In May 1959 OK Motor Services Ltd was formed and it bought out several local firms including Howe of Spennymoor in 1968. I suppose it must have formally taken over Emmerson (trading as OK) as well, otherwise I think all of his vehicles would have to have operated ‘on hire’ to OK MS Ltd. 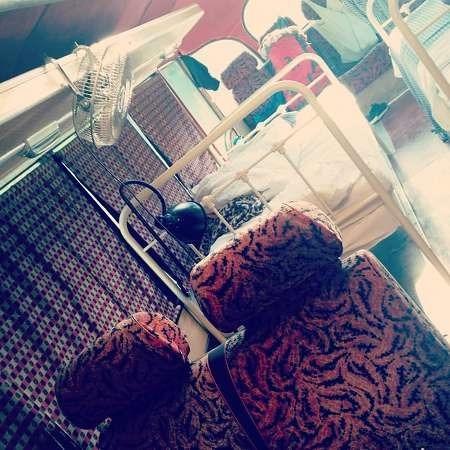 Operator liveries can make or break the looks of any coach. The SUT livery was perfect for all Plaxton models that they had including those with side polished strips. They looked dignified but I am slightly biased having driven for them for about ten years. Sadly old age and arthritis have caught up with me and I have reluctantly taken the decision to pass 129 DPT on to a new home. 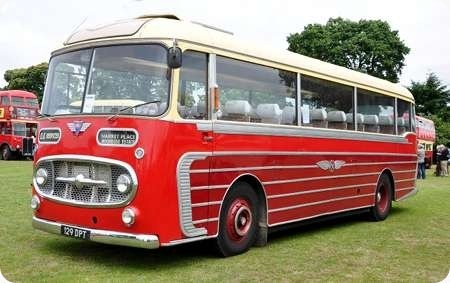 After a diversion via Cobus she will be joining the heritage fleet of Go Goodwins Coaches. 192 DPT has now been sold by Goodwins, its gone to Dan Harte t/a Ibiza Yoga Ltd with a UK address in Paddington London. Mr Hart intends to use the AEC for touring between London & Ibiza twice a year. This is still owned by Dan Harte but is static at the moment in Ibiza as Airbnb accommodation for his Yoga enterprise. He says he does intend to bring it back to UK in May and then use it to attend ‘festivals’ I assume as a caravan!